A radical change could be coming to the way electric co-ops across the country do business. David battling Goliath is a cliché. But how else to describe the struggle between a rural electric co-op and its powerful supplier of electricity? “David,” in this case, is the Delta-Montrose Electric Association, a medium-sized co-op in west-central Colorado. It serves 71,000 customers across two counties and 3,400 square miles with roughly 100 employees. “Goliath” is Tri-State Generation and Transmission Association, which sells electricity to 43 co-ops across Colorado, New Mexico, Wyoming and Nebraska. It has 1,500 employees, strip mines, power plants and 1 million customers over its four states and 200,000 square miles. Like the biblical David, Delta-Montrose has sunk a stone deep into Tri-State’s forehead. The missile was provided by the Federal Energy Regulatory Commission, which ordered Delta-Montrose to buy any reasonably priced renewable energy on offer. The order cut the heart out of power-purchase contracts that Tri-State has with Delta-Montrose and its 42 other co-ops. Those contracts require the co-ops to buy at least 95 percent of their power from Tri-State until mid-century. Marston says if enough co-ops substitute local renewable power for Tri-State’s power, the power behemoth Tri-State Generation and Transmission Association could go bankrupt. Standing on the bedrock of those contracts, Tri-State has borrowed $3.4 billion to build power plants and transmission lines. The commission’s order throws a bombshell into that mountain of debt and the power plants it finances. If, over time, enough co-ops substitute local renewable power for Tri-State’s power, Tri-State could go bankrupt. The lawyers are not exaggerating. The electric co-ops describe themselves, accurately, as a close-knit family. Why, then, did Delta-Montrose, a typical co-op in a rural area, create this crisis? The story starts in 2004, when Tri-State asked its co-ops to extend their contracts from 2040 to 2050. Tri-State needed the extension to build a new multibillion-dollar coal plant in western Kansas. Lenders would not finance a plant that could run out of customers before the plant’s debt was paid off. The other 42 co-ops extended their contracts. But the board of Delta-Montrose refused. It wanted to avoid spending 40 years paying for a plant it believed would be obsolete long before 2050. The co-op’s alternative strategy was to gradually generate more and more power at home. It hoped that other co-ops would follow its lead, and that as Tri-State’s aging plants were shut, the power generated by local co-ops would provide a smooth transition. But Tri-State and the other co-ops never took Delta-Montrose’s approach seriously. It ran counter to the traditional business model. Federally directed and financed electrification, working through small locally controlled co-ops, rescued rural America from literal darkness and deep poverty in the 1930s and 1940s. It is a glorious history. But with time, the co-ops’ focus on local economies was replaced by loyalty to the ever more centralized and large-scale system that kept those lights on. Cheap, reliable electricity, generated in huge power plants – with the host communities getting all the jobs and property taxes – ultimately became the system’s business model. The South Canal Hydroelectric Project is one of Delta-Montrose Electric Association’s local renewable energy projects, and is the largest local member hydroelectric project within the Tri-State membership. But solar and especially wind are now competitive with central-station power. The Delta-Montrose co-op’s area is rich in sunlight, falling water and large flows of methane out of its underground coal mines. Thanks to a visionary former general manager named Dan McClendon, the co-op board came to see rural electrification as a path to a rejuvenated local economy. It successfully resisted extending its contract with Tri-State. But even without an extension, the contract was good through 2040, and it still blocked Delta-Montrose from expanding its area’s jobs and tax base. Then came freedom: the commission’s 2015 order allowing Delta-Montrose to use local renewable power. Delta-Montrose also hopes that cheap local renewables will fend off the same threat the commission’s order poses to Tri-State. Just as Tri-State fears losing its 43 co-ops, Delta-Montrose fears losing its own customers to rooftop solar and cheaper batteries. Meanwhile, Tri-State, rather than adapting to a new reality, is appealing the commission’s decision for the second time. Because the decision applies to all of the nation’s 840 co-ops and 65 power suppliers, this dispute – begun by a small co-op – could engage the entire system and end up before Congress. 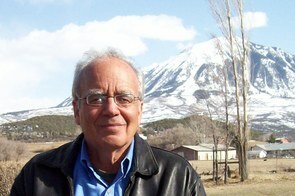 Ed Marston is a contributor to Writers on the Range, the opinion service of High Country News. He lives in Paonia, Colorado, and served on the Delta-Montrose board of directors for 18 years.